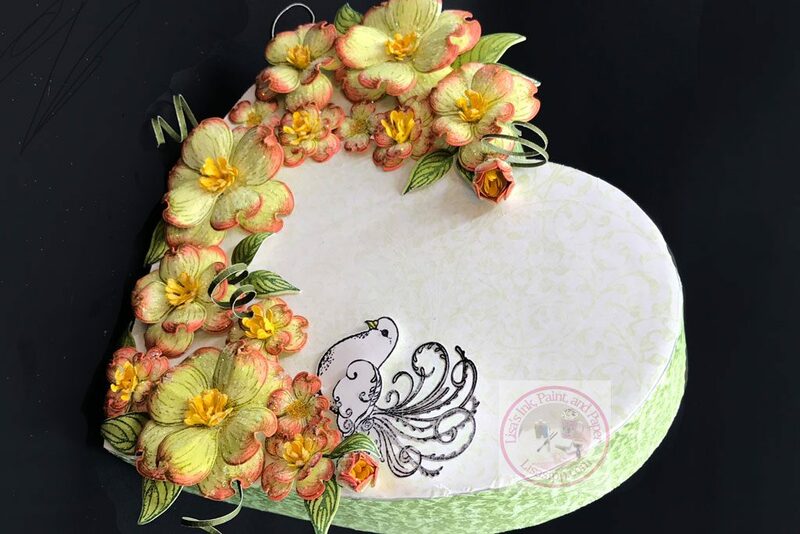 I have been using the Heartfelt Creations Stamps, Dies and Papers since since January 2017. One of my favorite to work with are the Dogwoods because they are so versitle. Flowers can be created with one or more layers. They also are great when created with vellum. Here I recycled a heart shaped tea box. I first covered the box with paper from the collection. I stamped, die cut and colored the flowers using Distress Inks in Shabby Shutters and Abandoned Coral. For the leaves I used Peeled Paint. I even inked the back of the flowers. I rolled some of the petals around the stamens to create a few flower buds. I added the dove, with an extra wing for dimension. 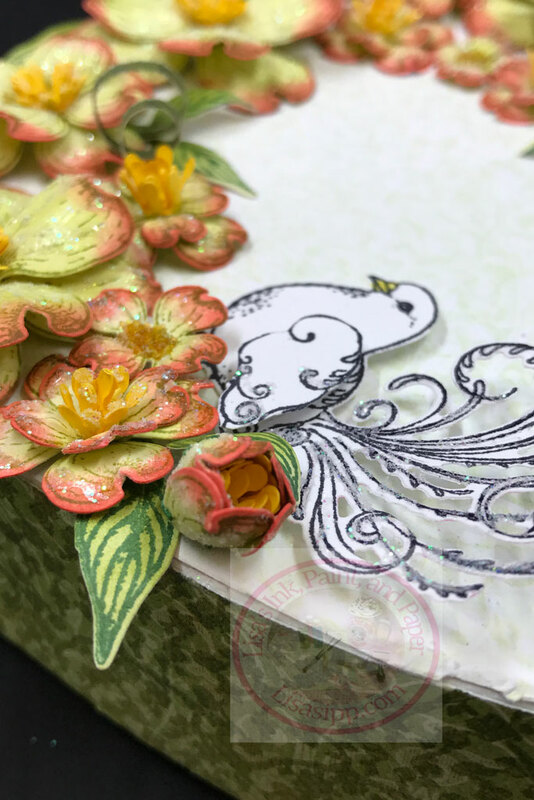 I added clear glitter to the flowers and the dove. Here are a few other cards I created with the Dogwood Stamps and Dies. These were stamped with white pigment ink and embossed with white embossing powder. These were stamped on pink vellum with white pigment inked and embossed with white embossing powder. Love all your work. Your detail is amazing on everything you do!